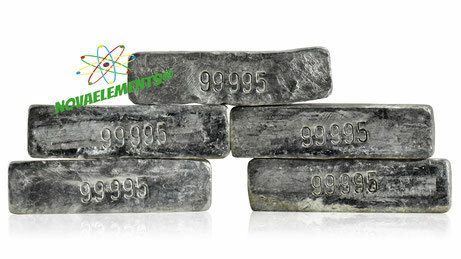 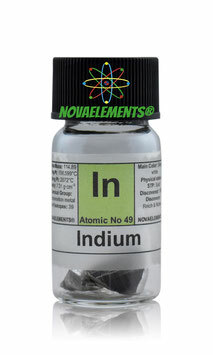 Indium is a metallic element with chemical symbol In and atomic number 49. 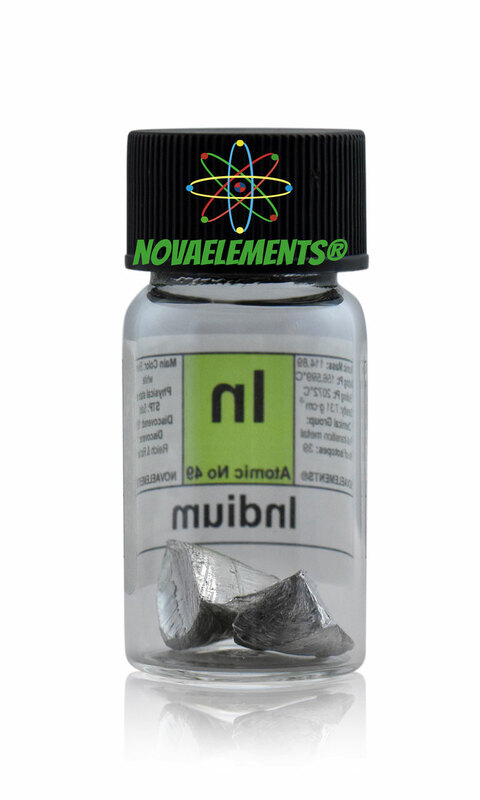 Indium is a solid and silvery white metal at normal pressure and temperature, it is so soft and you can cut very easily with a knife or with your fingernail! 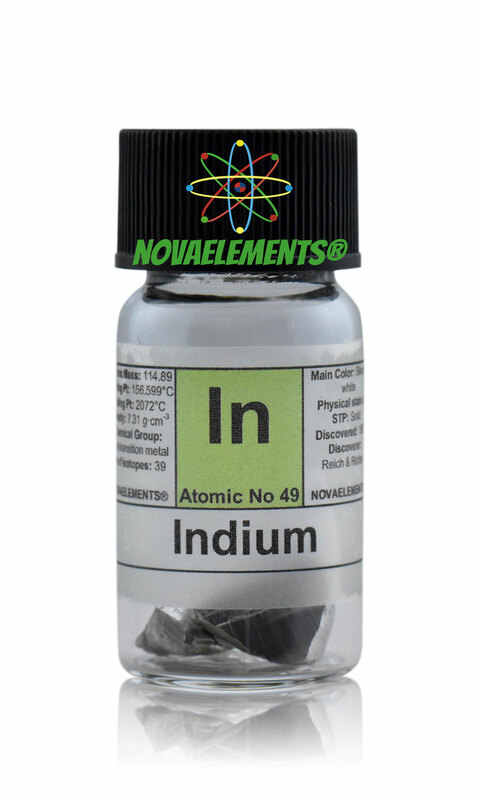 Indium is a living element, because if you cut or break it emits a screech!